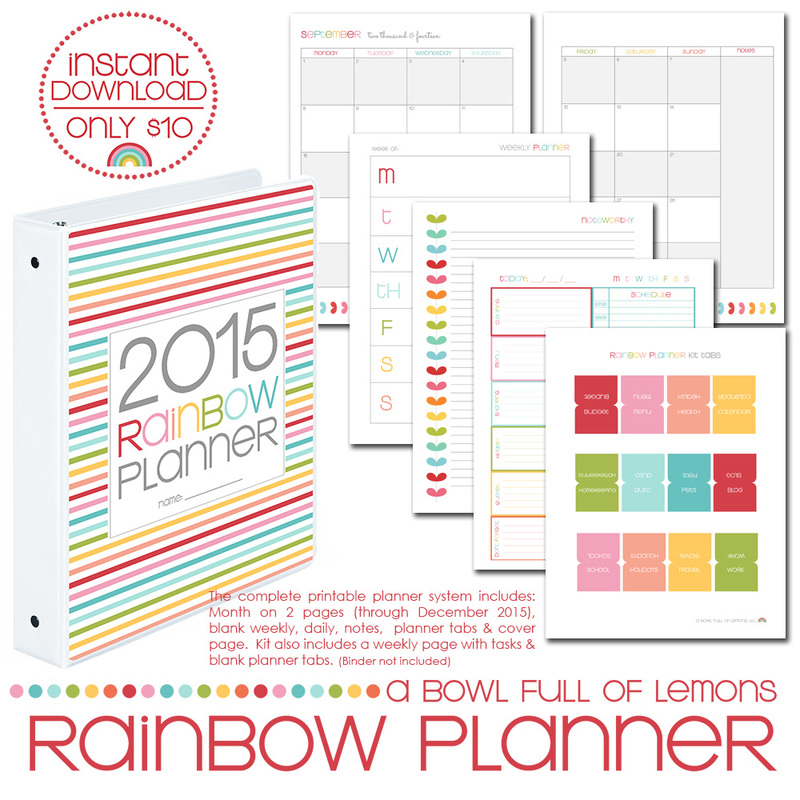 The Rainbow Planner Core Kit is a complete printable calendar system. This colorful kit includes a 2 page per month spread, which goes from now through December 2015. It also includes daily & weekly printables and a notes page. 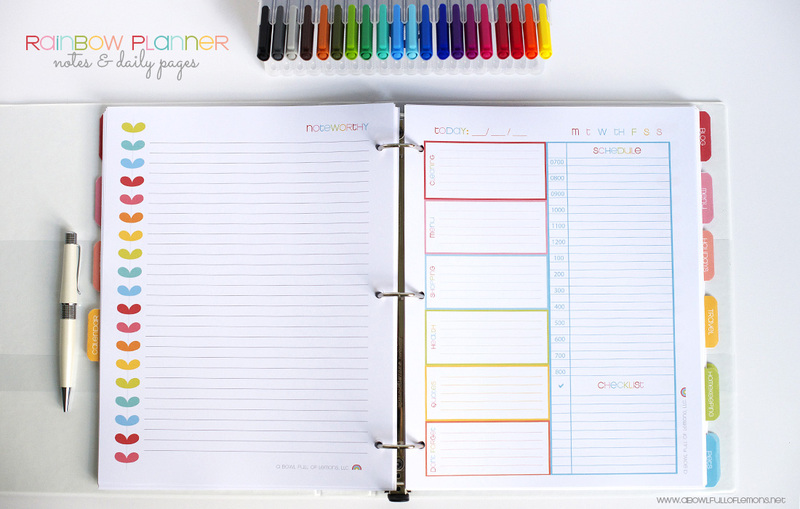 Finally, organize your Rainbow Planner with monthly binder tabs or label your own with the blank tabs, which are included. Just print and cut them out. I used clear packing tape to attach them to the pages, then cut around the tape. Complete your home management binder by adding this kit to the other 9 Rainbow Planner “add on” kits (sold separately). Pictured below are the notes & daily printable pages.